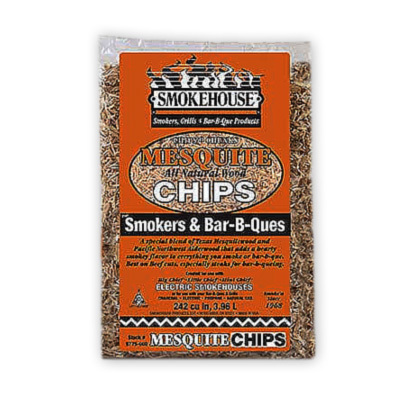 Add a hearty and tangy "Old West" Mesquite wood flavor with this blend of Texas Mesquite Wood with a touch of Pacific Northwest Alder. Mouth-watering on steaks, beef and everything BBQ! These chips are drier and bark free. Perfect for low-medium temperature smoking.